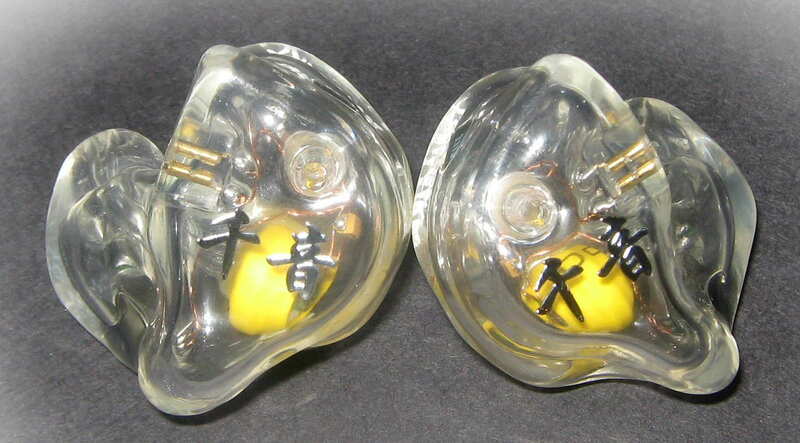 There has been much talk about dynamic driver vs. balanced armature IEMs in the world of universal IEMs. Both have their strengths and weaknesses and as you increase in price they seem get closer to the sound of each other; dynamic drivers have better bass power, reverb, and texture and balanced armatures have more detail and speed, but there is still a difference. 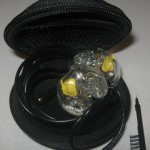 Move up to the custom IEM world and it is predominantly filled with balanced armature driver designs. There are eight custom IEMs (that I know of) that use dynamic drivers and three of the eight are hybrids. The Thousand Sound TS842 is one of those three, I own another, the Earpower EP-10 Plus, and the third is the Unique Melody Merlin. 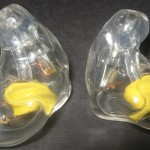 There are five custom IEMs that use a single dynamic driver: one from Earpower, two from Future Sonics, and two from Beat Audio (Million Xuan, and not available outside of China currently). Click here to see my custom IEM review, information thread, and manufacturer list thread. Back to the Thousand Sound TS842, which utilizes an 8mm dynamic bass driver developed by Thousand Sound and the same driver found in the ER4 for the midrange and treble. How will the lowest cost hybrid custom perform, especially given it uses the Ety drivers? The cost is 3350 CNY (about $515 at the time of writing) plus $30 for international shipping. We are about to find out! I contacted Thousand Sound to find out more about their TS842 and found out they currently did not sell outside of China and did not have a PayPal account. They said they would send me a demo unit if I provided my address, but I asked if I could get a customized unit if I sent them my ear impressions. They said of course. I sent my ear impressions to the given address, which did not have a postal code, waited nearly a month (my Rooth ear impressions arrived in a little over 3 weeks shipped with the same method, USPS First Class International) and they never made it there. Once I realized they probably were never going to arrive I decided to send another set, but this time via FedEx. I had to figure out the postal code (510240), which was required by FedEx and not USPS (I asked Thousand Sound for address verification and they said it was correct, not giving me the postal code), and they did arrive safely. They took about 3 weeks from receipt of my impressions to receiving the TS842. 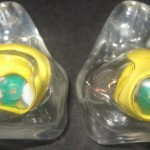 I didn’t ask for any artwork, just clear with Thousand Sound on the shells and I must say I like the way they came out! PM me with if you have any questions. Thank you Thousand Sound for the TS842. Exceptional comes to mind and I could say they are the best build quality of the acrylic customs I have. While the outside is similar in quality to other customs from a lack of bubbles and overall good finish, the looks are spectacular with absolutely no bubbles/defects to go with impressive looking etching which is the best I have seen. They have a perfect fit and are very comfortable for extended periods of time and the seal doesn’t break when I chew food or move around. The only thing I would change is having recessed jacks, well, and having JH Audio compatible pins vs. the UE pins and cable (Thousand Sound said they can use the other pins). The worst part about the TS842 is the cable, which is a copy of the UE style cable and not as good as the twisted cables and has a straight plug. I do have more cables on the way, more later, however asking Thousand Sound if they can do cable jacks that fit the other style cable (Westone, JHA, etc) they said yes. The TS842 comes with a small clamshell case and cleaning tool. The size of the clamshell case is a bit on the small side as my large shells didn’t fit very well. While my TS842 came with a cable, typically they don’t come with a cable standard, but a cable can be purchased separately. The cable provided closely resembles that of the Ultimate Ears Triple.Fi 10, but is superior. The TS842 can perform much better with aftermarket cables. 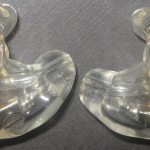 Acrylic shell with dual sound tubes, one for each driver, and a port with a foam filter at the far end of the port. The front of the dynamic driver has a restricted space as it is tapered into the sound tube. 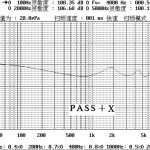 I am not sure how they calculate the rear volume (amount of space) for the dynamic driver or if they try to be consistent from person to person even though there are different ear sizes, nor if and how that will change the sound. But it is something to think about. 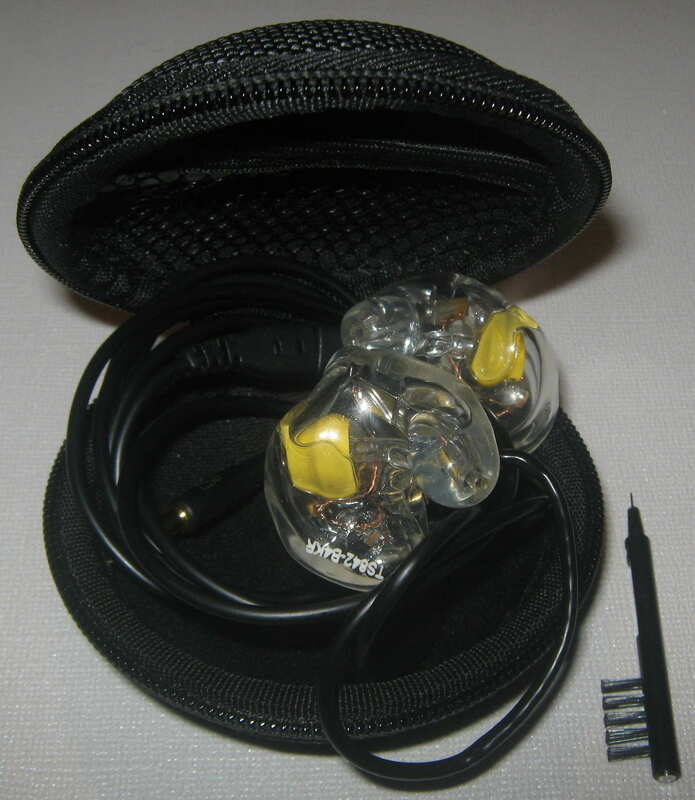 A 2nd order crossover is used, and this is the only such implementation I know of in an IEM. I used the TS842 on an airplane and compared them with the Rooth LS8. Even though they are ported, they isolated about the same for voices there was about the same attenuation of the person in front of me that was talking the entire flight. The LS8 did isolate the engine noise a little more though. All in all the isolation isn’t bad for a ported design. I am not sure if this is due to the port tube, the foam filter in the port tube, or the thick acrylic fill in the tip of the canal, but it works. A note on my perspective: I have customs that cost double to triple what the TS842 cost and try to use the most revealing sources and music as much as possible. My perspective from listening to the top end in my collection does put the lower cost custom IEMs into perspective and I have to restrict myself to using only custom IEMs in the price range. If I were to go from a universal, something on the lower end, or even a similarly priced custom I might not easily be able to pick out negatives with the TS842. I have tried to put this review in perspective by comparing it with other, similarly priced custom IEMs and the TF10 reshell. Edit: I have added some info about how it compares with the more expensive customs I own as of 5/22/11 below in italics. Enjoy. I burned the TS842 in for a good 10 days before they really settled down with improvements in the dynamics of the bass and a reduction in the edge across the midrange and treble. I somewhat expected a sound signature closer to the X3, which is bass heavy and very exciting, but colored, however the TS842 turned out to be different as the bass, while enhanced, isn’t too enhanced in comparison and the midrange is somewhat recessed with a slightly prominent treble with an overall laid back presentation, similar to the reshelled TF10. The overall presentation on the lower end is smooth yet not lacking in texture with good punch while the mids on up exhibit a little edgy that is dependent on the source. The overall sound is not overly warm, but in no way cold as the dynamic bass driver adds just enough weight. The bass is punchy and can really deliver massive amounts of deep bass for electronic, R&B, pop, or anything that has massive amounts of bass in the recording. The texturing is top notch as is the control is very good. If a song doesn’t have much bass, it isn’t going to be enhanced in contrast to the X3, which accentuates any bass present. Real drums sound very real and the rumble from the lowest registers is reminiscent of the best universal dynamics with exceptional quality and weight. An example is the Inception or Avatar soundtracks which give you that subwoofer excitement all the way down to 20 Hz. When compared with $1K and above customs only the Spiral Ear 5-way had similar bass reverb but still seemed tighter with better control, yet a little less deep bass weight. Performance is about on par with the Starkey SA-43 and the TS842 has better bass texturing than the Earsonics EM3 pro to go with the lack of roll off and much more deep bass quantity compared with the Rooth LS8. All in all the TS842 can handle any type of bass well with top notch performance, especially for the price! The slightly recessed midrange has detail levels on par with the X3 but slightly less than the Fabs. It adds a slight edge that is carried up through the treble, and depending on the source, can be readily apparent or hard to hear. The edge is not bothersome in normal listening unless you compare it with something that is significantly more expensive such as the LS8 or SE 5-way reference. The upper mids/treble do remind me of the TF10 as a custom in that they accentuate the S syllables in vocals without sibilance. In the second post of this thread I have written about how the Athena and Crystal cables, as well as the TF10 cable sound with the TS842. Treble is extended up to 17.5K Hz in my test tone test, further than the X3 or Fabs and I can hear a peak at around 12K (as confirmed in the frequency response chart sent to me from TS). The treble, like the midrange, can have a little edge that changes with various sources. In comparison with the other two, the TS842 has less treble detail than the Fabs but more than the X3. The Fabs have a smoother, but more rolled off treble and the X3 treble again is rolled off in comparison, but is more prominent in the lower treble region. The treble is not something you will miss and does lead to an airy sounding presentation. Covering both the mids and treble when compared with the higher priced customs, the TS842 shows why it is priced where it is. While the stellar bass can keep up with the big boys, the mids and especially the edge is very apparent. One of the characteristics of all the $1K+ customs I have heard share is very smooth yet detailed mids and treble. The TS842 is a step up from the TF10 for example, it is a step down from the others, but in the same league as the X3 and closer to the Fabs than the others. Soundstage is close between most of the $1K custom IEMs, with the SA-43 being larger, the LS8 being slightly larger, and the 5-way being slightly smaller (but very different in presentation) and the EM3 Pro being smaller yet. Detail levels of the TS842 do lag behind the others in the mids/treble region compared with the $1K+ custom IEMs making source selection less important. 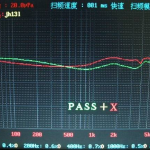 I was sent the chart of the frequency response after I finished my write-up, which is below (black and white graph). Compared with the charts on the Thousand Sound page (color chart, green trace), the performance is different as I was told the bass and treble are enhanced (recessed mids). I am a little surprised by the number of peaks in the frequency response chart, but most of the peaks are not as noticeable as in the chart and the bass is more enhanced than before. The treble also looks to be a little less extended, and now there is a peak at 12K where there usually is a dip for most IEMs due to the natural response of the ear. Also, the mids now seem a little more recessed. I was asked to compare the TS842 to my Fabs and Kozee X3 specifically with trance, so I did. I thought the TS842 fit trance quite well with its more laid back presentation and good amount of bass and space. While the X3 also has good bass and space, the more mid-forward presentation just didn’t sound as good to me for the electronic genres. The Fabs didn’t have the same bass weight and seemed a little mid-focused, which is not my favorite presentation for trance. Then I compared the TS842 with the TF10 reshell which does have a similar sound signature. It was easily apparent that the TF10 reshell was a large step down in technical ability. Mids and treble didn’t have the detail and were rougher/harsher, the treble has more S emphasis, the bass wasn’t as textured nor as powerful. Switching back from the TF10 reshell to the TS842 a veil was lifted, detail was added along with more bass impact and a more 3D and wider soundstage. I had the opportunity to borrow a HF3 for a short period of time which uses the same driver as the mid/treble driver of the TS842 while using my iPhone as the source. They sound very different except from the upper mids on. The overall tonality is much different with the TS842 sounding warm, lush, powerful, and musical in comparison to the thin, treble focused HF3 (not that it is a bad sound if you like that, but definitely not for me). Apart from the day and night sound signature differences, how about the detail levels and smoothness? The TS842 is smoother with a little less edge and seemed to have more detail/clarity of notes. I am not sure if this is due to tuning, the mid/treble driver not having to reproduce bass in the TS842, or a combination, but I guess you can have your cake and eat it too with the TS842! I also decided to try a 75 ohm impedance adapter with the TS842 to see if anything improved like the P to S adapter for the ER4. The tonal balance shifted to a warmer sound with a slightly smoothed out treble. The difference across the spectrum was noticeable, but the actual detail level and smoothness was very close. (iPod->Pico Slim as a source) And duh, I also remembered I could use the impedance switch on my Arrow, which had an effect on the brightness. Soundstage space is a little more dependent on the recording and source compared with the Fabs and X3 with an average presentation width a little wider than the Fabs but flip flopping in size, depending on the track, compared with the X3. This is due to the very different midrange presentation of the two. Maximum instrument distance, which extends further than the normal soundstage size is about equal with all, but there is variation depending on specific tracks. The sound stage of the TS842 is not the most 3D, but it is not too flat, being somewhere between the Fabs (more 3D) and X3 (flatter). Overall the TS842 is a good performer in the price range when compared with the X3 and Fabs, but different than both. If you like the TF10 sound signature but want better bass, more detail, and a bit smoother presentation the TS842 is a winner. It is also important to note that the amount of the edge is dependent on the source as the edge was minimal with some sources such as the CLip+ and iPod -> Arrow 12HE, but with the 801-> Pico Slim it was at a much higher, albeit listenable level. Sandisk Sansa Clip+: The Clip+ matches well with the TS842, resulting an enjoyable presentation that, while lacking some of the detail of better sources, isn’t all that far off. The presentation is darker with powerful bass and a more balanced sound than some of the brighter sources. Detail levels seem pretty good with this combo in comparison with some of the better sources tested. The soundstage is smaller than most other sources. Apple iPhone 3G: Open and air presentation in comparison with the Clip+, but other than that the Clip+ outperforms the iPhone 3G . Even though the overall presentation sounds airy, the actual details have less clarity and detail. Also, the Clip+ as more bass impact The soundstage is close, but the iPhone is slightly smaller. Hisoundaudio RoCoo A: There is a bump in the upper mids, bringing them a bit closer while there is also a larger emphasis on the treble when compared with the Clip+. The whole presentation is slightly more detailed. For those that like a brighter presentation, the RoCoo A would be a step up over the Clip+. Hisoundaudio AMP3 Pro 2: Take the presentation of the RoCoo and add more air and a better 3D space and ambiance about the music, not to mention a low level of hiss and you have the AM3. This is a combo that would be fine as the hiss levels aren’t all that great. Bass is powerful and punchy and the mids are brought a bit more forward with the AMP3. Hi-Fi Man 801: A sidestep from the HUD-MX1->Stepdance with similar detail levels and a little darker presentation, but a step up from the other portable sources. The bass and mids are punchy, detailed, and sound warm and lush, and even though the presentation is on the darker side, the edge is still there. Hi-Fi Man 801 -> Headamp Pico Slim: Brighter tonal balance than just the 801 which can result in an increase of edge. Some tracks sounded a little too much while others seemed OK or even preferred. There was better clarity and micro-details that weren’t present with either the 801 or the MX1 came through. Overall resolution is limited by the TS842 when compared with customs that cost double. Apple iPod -> Headfonia Arrow: Big bass with less edge than the 801-> Pico Slim but at the expense of micro-detail, especially in the treble region. Mids seem to be slightly more forward than with the 801, Clip+, or iPhone with slightly more width in the soundstage. Very enjoyable to me for the warmth and mellowing of the sound. Compared with the Stepdance, the bass doesn’t reach quite as deep but still very good. Apple iPod -> Headamp Pico Slim: The iPod is more neutral than the 801, so you can take the performance of the 801 and change the signature to a brighter yet less detailed sound. HUD-MX1 (OPA1611): Slightly less detail than the 801->Pico Slim setup with less brightness. Spaciousness and 3D presentation are very good, but the edge in the treble can come out every once in a while. HUD-MX1 (OPA1611) -> Meyer Audio Stepdance: Sound is very close to the HPO of the HUD, but the bass is more thunderous and the treble edge is completely tamed, giving a very enjoyable sound. Source summary: There isn’t a huge difference between sources with few exceptions. If you have a Clip+ to drive the TS842, you will probably be very happy. All the steps up produce more enjoyable sound, but not by a large margin. While the 801 is the most detailed of the sources I used to review the TS842, it wasn’t my favorite. I liked the sources that smoothed the treble out a little such as the iPod->Arrow and the HUD-MX1 as well as the Clip+, although there was a difference in detail. But, if you are using it for less than ideal conditions, such as in a noisy environment or while focused on something else, it doesn’t make a big difference and will likely not be noticed. The TS842 is easy to drive and has thunderous bass from just about any source! The TS842 does quite well at low volumes as I can turn the volume almost all the way down and there is still bass rumble, but the impact does take a little more juice than the lowest volume levels to get going. At the quietest volumes the dynamic driver is going but the BA still needs a bit more, for example with Joji Hirota & The Taiko Drummers – Harvest, I can hear the drums but not the triangles. Again, that is at the ultimately low volume levels. At normal listening levels everything sounds as described in my review. At loud levels the distortion is low but the bass driver does have lower dynamics, however I can’t stand loud listening for more than about 5 seconds. I am impressed with the quality/lack of distortion and harshness at loud volumes and if it weren’t for the dynamics, they would be amazing at loud volumes. The overall volume performance is top notch at both low volumes through high volumes with no real complaints at any normal listening volume level. Notes: First, I initially had the cable connected with the wrong polarity and it didn’t sound as good as the stock cable as the soundstage was compressed and the bass on some tracks sounded lacking. If you get one of the Effect Studio cables, make sure to use the correct polarity. I also burned in the cables for over 1 week straight (using the TS842 for the Athena and the EM3 Pro for the Crystal). Effect Studio Crystal ($42): The crystal cable change the sound slightly as well in a different way vs. the Athena. The sound was “cleaned up,” adding a little clarity and some added speed in the bass region. The bass increase in bass speed resulted in more bass impact while changing the tonal characteristics a little toward the bass presentation. A little bit of the treble edge was removed on some of the tracks where it was more noticeable, although I could consider the change very small. The improved clarity didn’t result in much of a change in the imaging, but instrument separation and micro-detail was easier to hear. From a looks perspective, this cable looks amazing, but from an ergonomic perspective this cable tangles easily and has memory. A close call for the price IMO. Effect Studio Athena ($87): The Athena cable changed the characteristics across the mids and treble by smoothing out the presentation while improving imaging and detail. Using the 801->Pico Slim as a source, currently my most detailed setup, the improvement was very good, pushing the performance of the TS842 closer to the higher priced competitors, however still not reaching their levels. The detail differences between the 801->Pico Slim and HUD for example were more noticeable with the Athena cable. Frequency response didn’t change much, but the bass was quicker with a better leading edge resulting in more impact and the overall, but the treble was still as prevalent as with the stock cable. Build quality seems OK, but I have seen better. The sound improvement is something that does make this worth the price IMO, and ergonomics are good and at least on par with the stock cable. Since my review is done the stock cable will be off until I need to compare the TS842 in stock configuration again! Stock TF10 Cable: Just a quick comparison to see if the TF10 cable recessed the mids of the TS842 and it actually seemed to have a slightly more accentuated midrange. However, the cable added a sizzle to the treble and the bass edge became softer; overall a not very good experience. Cable Summary: The stock cable isn’t too bad as while the Crystal cable does improve upon the sound, it is what I would term a relatively small improvement. The Athena on the other hand, while accentuating the already strong treble does improve the quality which, at least for me, goes a long way toward enjoyment. It does take the TS842 to another level. Not quite to the level of my $1K customs, but maybe halfway between where it was and the $1K customs. The TS842 has a lot to offer for those that like the TF10, want bass (dynamic, reverberant bass) with the Ety sound in the mids on up, or just want a fun sounding slightly aggressive custom (and a hybrid at that) that won’t break the bank. The bass is fantastic as it has the ability to reproduce any type of bass well and sound like the very best dynamic universal IEM if not better while offering good refinement and quality across the rest of the spectrum. If you like a more laid back presentation, want a custom IEM, have around $500 to spend and want exceptional build quality to go along with the great sound quality for the price, the TS842 will be a great purchase.